Chardonnay is the world’s most famous white-wine grape and also one of the most widely planted. Introduced to Italy in the early 19th Century, Chardonnay thrives in the cool climate of the “Venezie” territory–a vast area encompassing the regions of Friuli-Venezia Giulia, Trentino-Alto Adige, and Veneto. 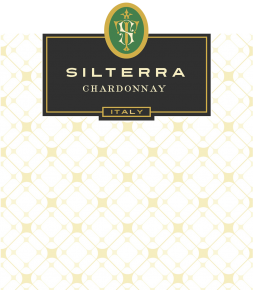 A crisp and inviting rendition of this international varietal, Silterra Chardonnay showcases bright aromas of apples, vibrant acidity and a clean finish. This is a refreshing and crisp Chardonnay, making it the ideal choice for salmon marinated in dill, couscous with oriental flavors or artichokes. Grapes are harvested and gently pressed. Skins are removed immediately and fermentation of the must takes place in stainless steel tanks at controlled temperature. The wine is left on the lees (yeasts) for about three months in steel vats. It is then bottled and rests for another two months before being released to the market.